1. This movie, in many ways, is a prequel to many references in Episodes IV, V, and VI; if you haven’t seen those yet, why did you watch Solo? Do yourself a favor and go watch them. Here on out are SPOILERS, so be careful…. 2. Aurra Sing – One amazing reference that blew me away was the assertion that Tobias Beckett killed Aurra Sing. While Sing appeared only briefly in The Phantom Menace, she appeared in a half-dozen episodes of Star Wars The Clone Wars, especially including working with a young Boba Fett (cf. parts VI, VII, VIII, IX, and X of my Boba Fett in TV and movies series). She later works with Cad Bane, but we did not know of her end until Solo. 3. 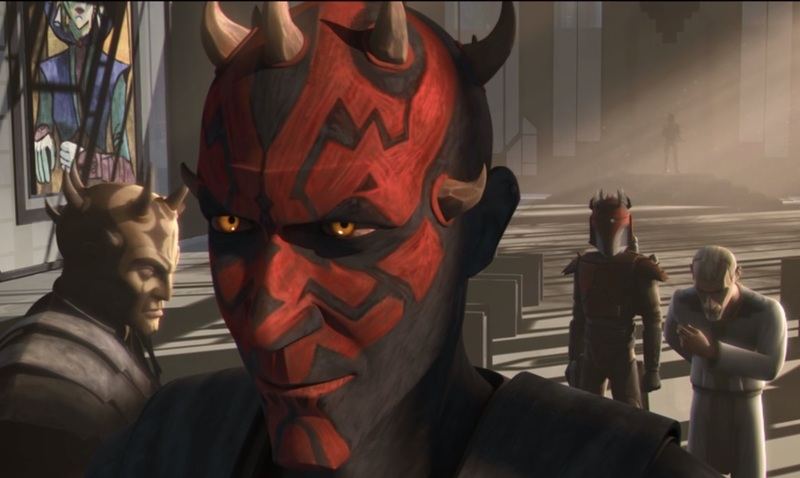 MAUL! 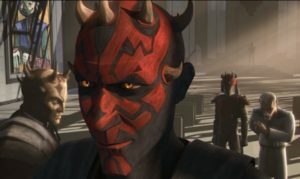 If you have only seen the theatrical releases of Star Wars movies, the return to the big screen of Darth Maul may be deeply surprising to you. Yes, he famously appeared as the main villain in The Phantom Menace and was sliced in half, but that wasn’t necessarily his death. 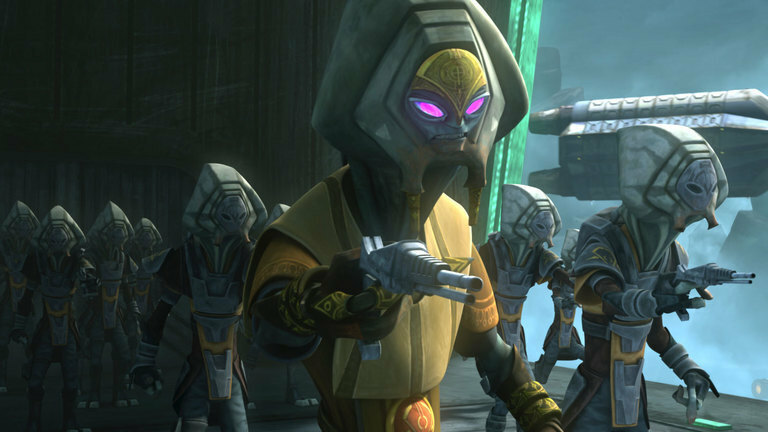 He was found still alive on a trash planet in Star Wars The Clone Wars, and became powerful, including allying with Death Watch, organizing an army, and taking over Death Watch, and much more in both Star Wars The Clone Wars and Star Wars Rebels. While still in-progress, for more, you can check out my chronicling of Darth Maul’s exploits here. 4. The Pykes appear in a couple of episodes of Star Wars The Clone Wars: briefly in one episode where they join Darth Maul’s Death Watch alliance, and in “The Lost One”, which is my favorite episode of the show’s sixth season, and a fascinating insight into the relationship between Count Dooku, Master Syfo-Dyas, and the creation of the Clone Army. We get a sense that the Pykes are a sleezy, spice-obsessed group, but nevertheless, not untrustworthy. If you haven’t seen “The Lost One” (regardless of whether or not you’ve seen any other episode of the show), it’s worth watching. 5. 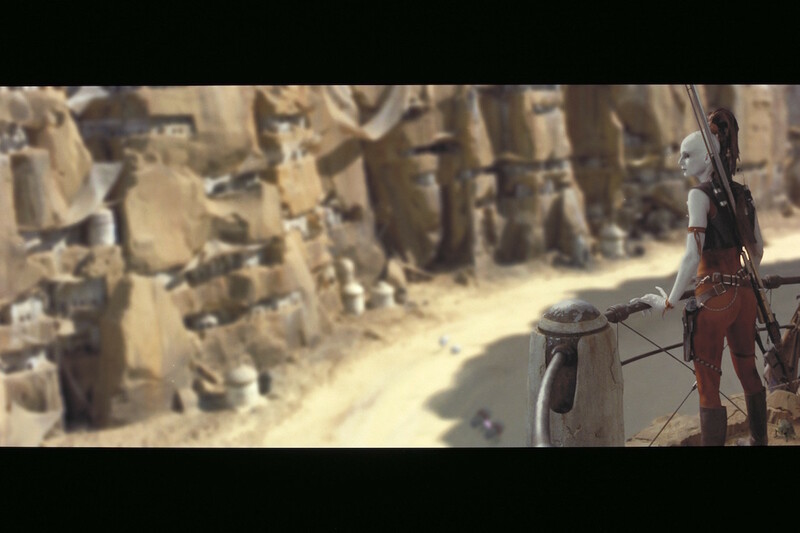 The appearance of Kessel was not the first time we’ve seen it on-screen. That distinction would belong to the first episode/mini-movie of Star Wars Rebels, entitled Spark of Rebellion, in which we see the crew of the Ghost rescuing wookiees. The appearance of wookiees in Solo on Kessel was a nice prequel of sorts to Spark of Rebellion. There are many, many more references and connections elsewhere in Star Wars canon in Solo, but that handful of references is a solid start. Also, I may catch things on further viewings of the movie, but one has to start somewhere….